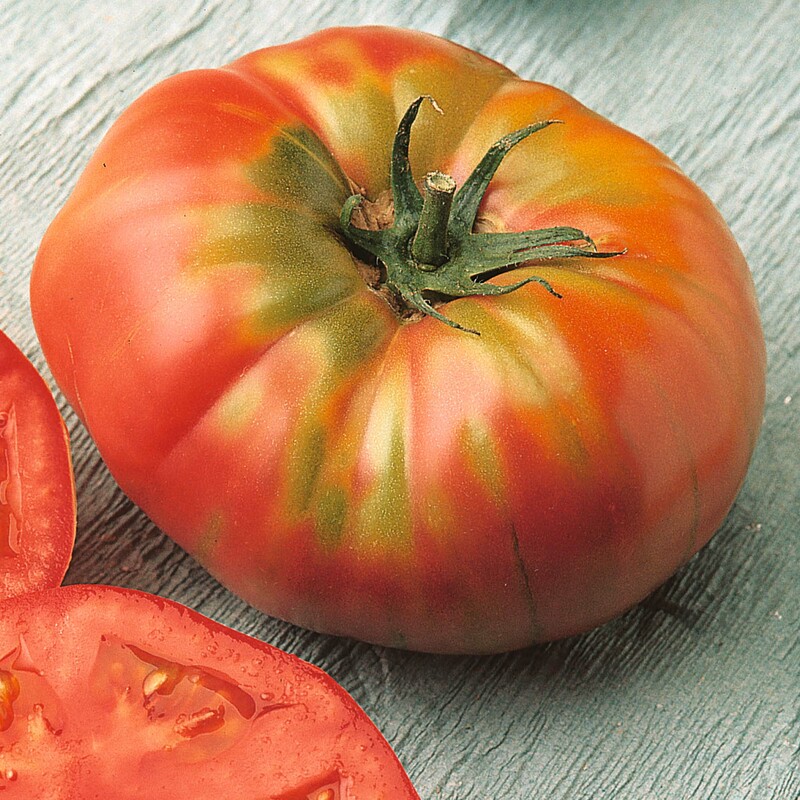 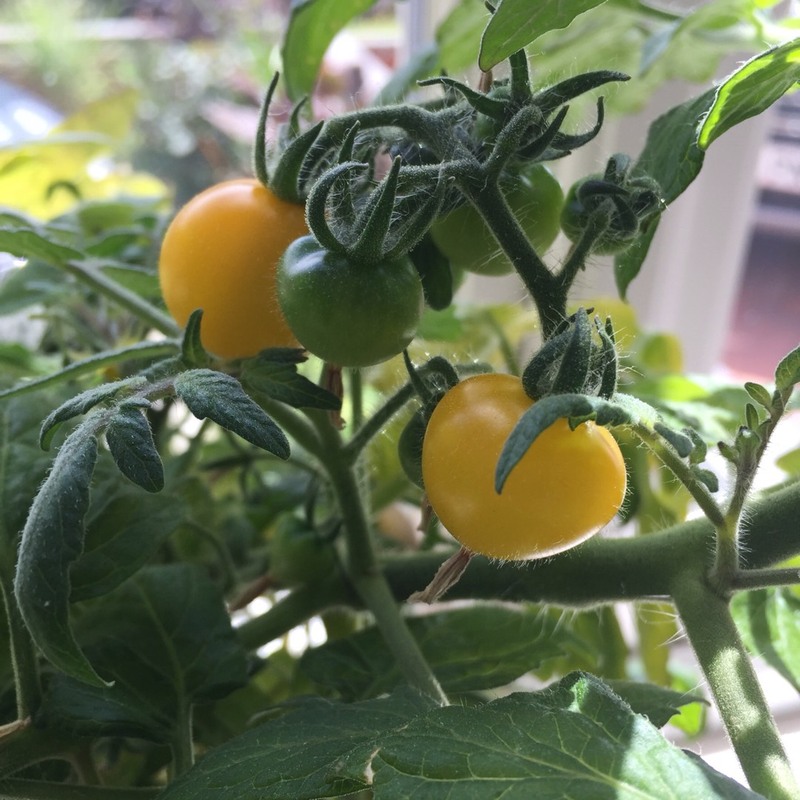 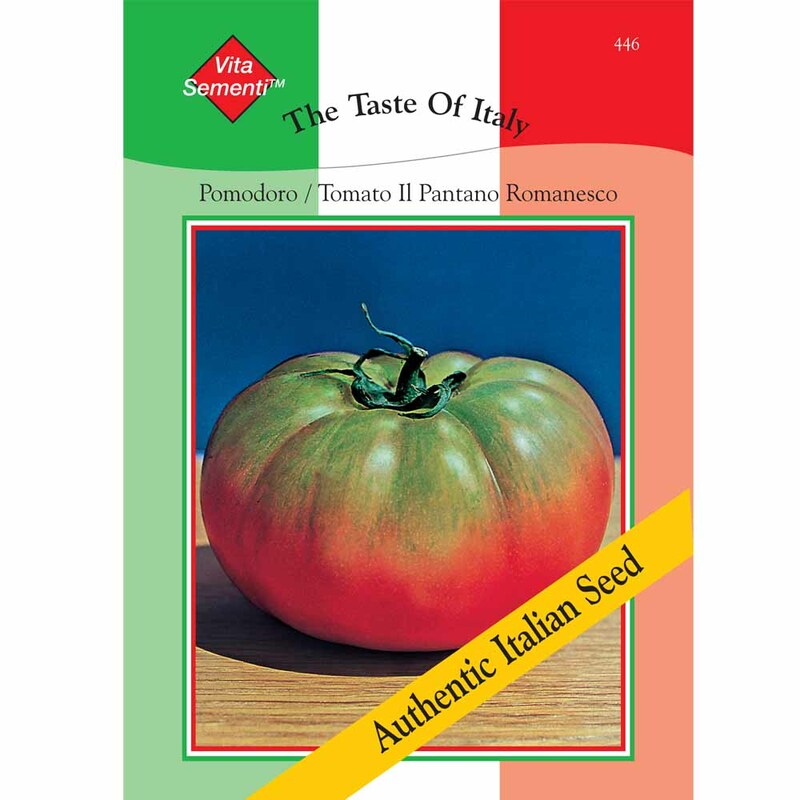 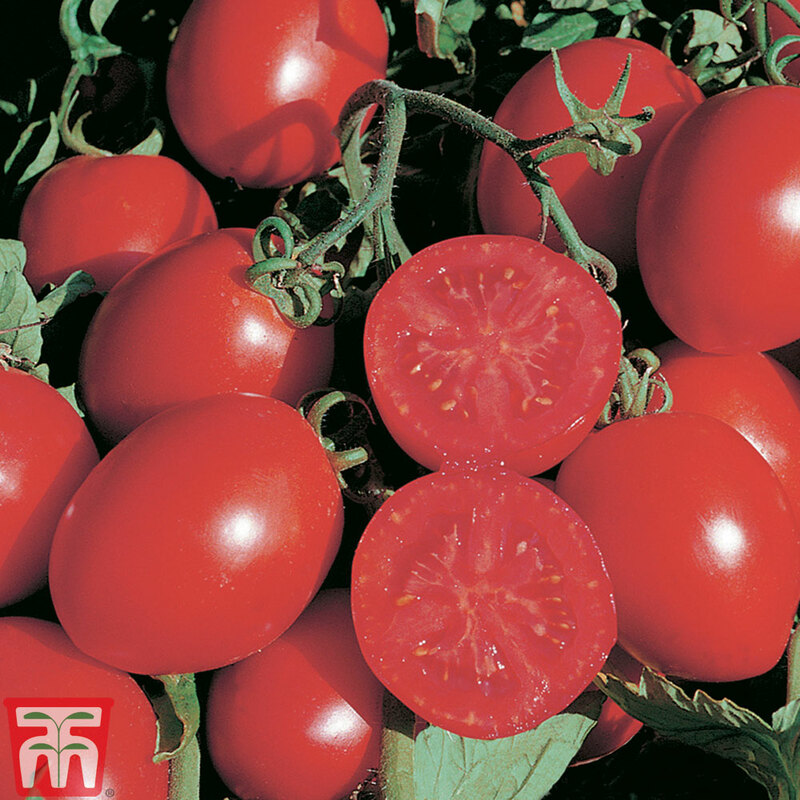 Tomatoes -which are, scientifically speaking fruit, not vegetable, but their use is as a vegetable, are cultivated as cherry, plum, beefsteak and common round, and there are many different varieties of each type. 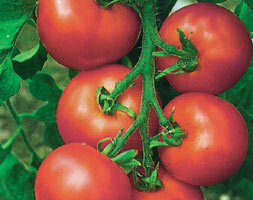 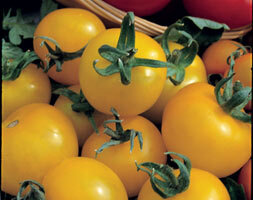 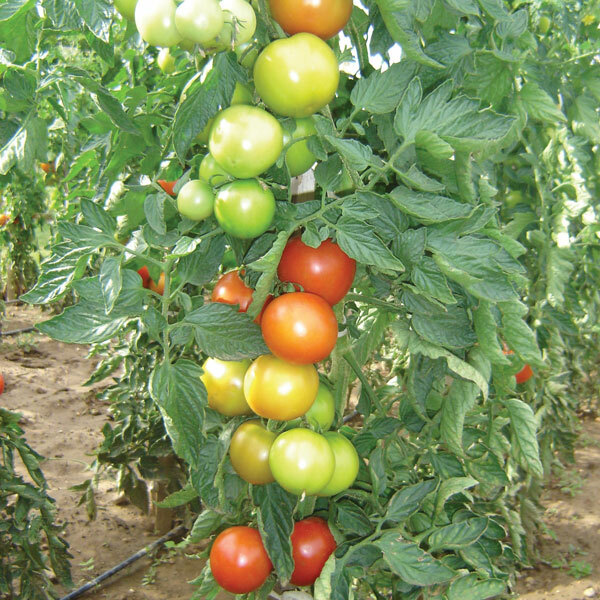 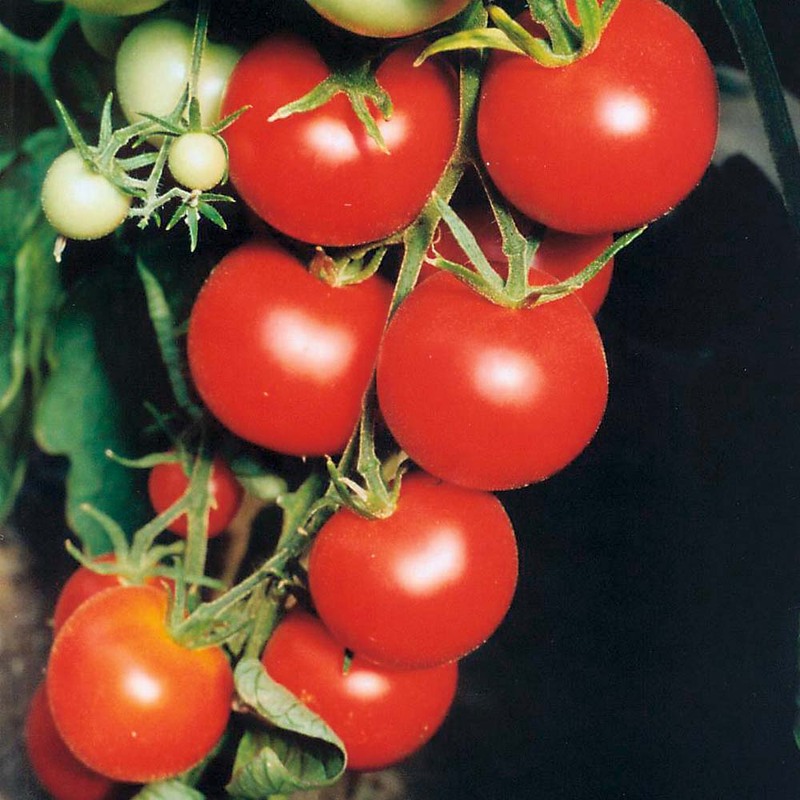 Best results are achieved for all varieties if grown under glass. 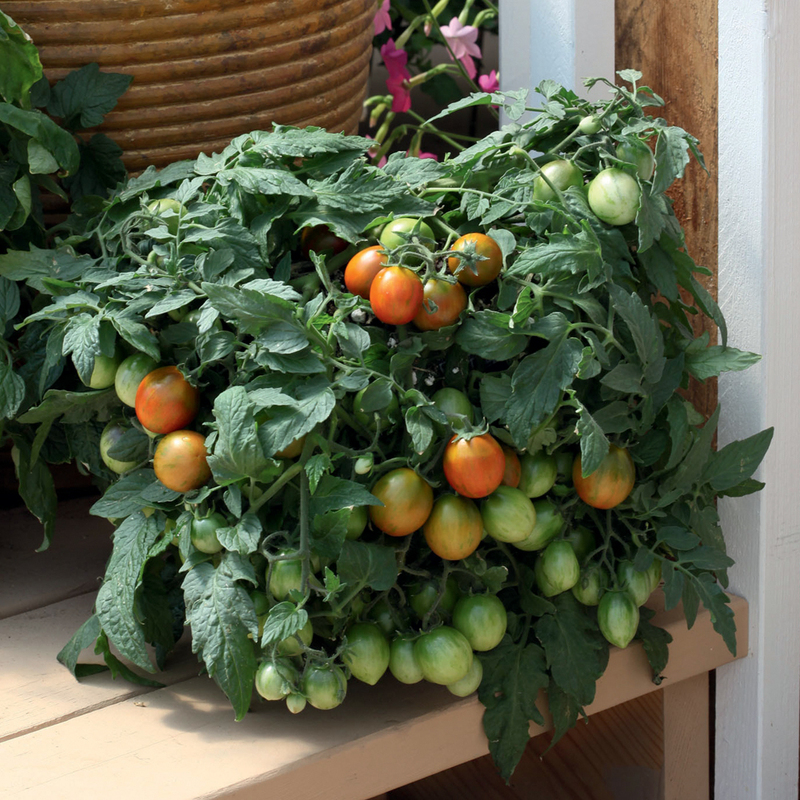 Yellow flowers are held on trusses and produce up to 10 fruits. 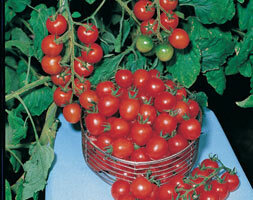 Careful watering is a must to stop fruit splitting and for flavour. 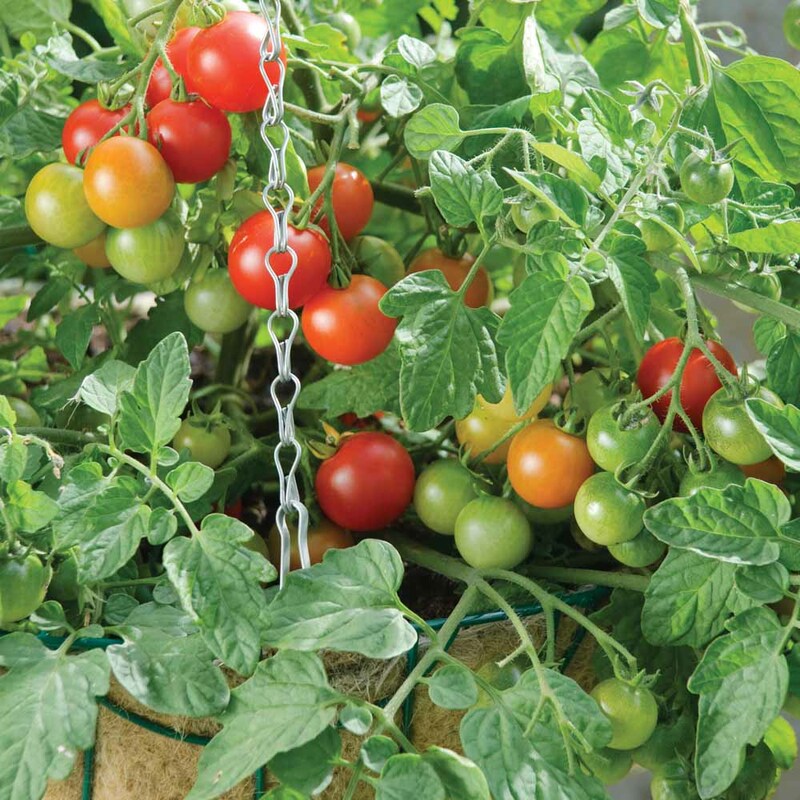 Keep water off the foliage as blight can be a problem. 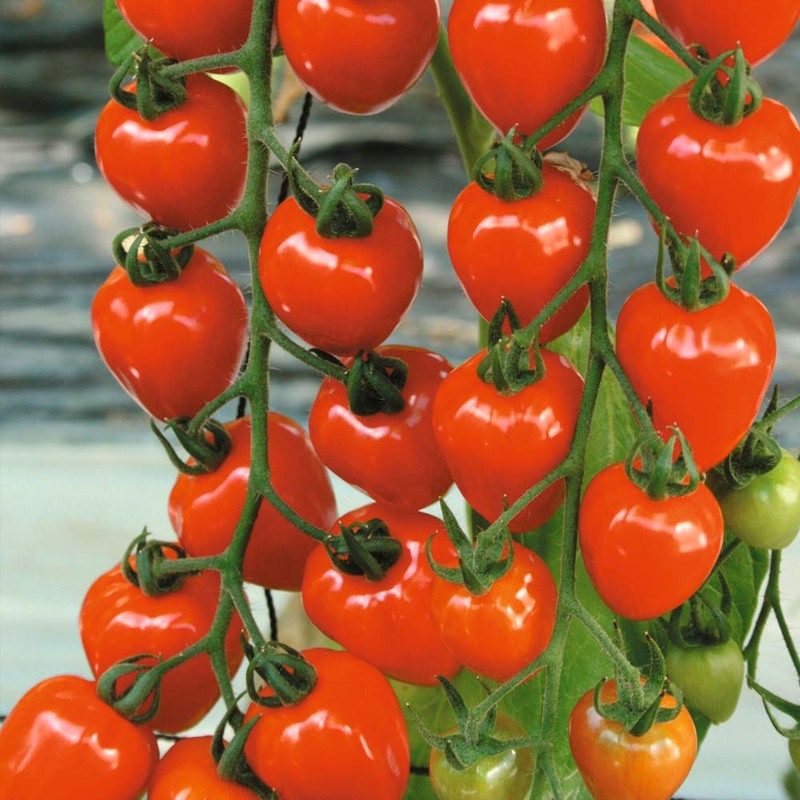 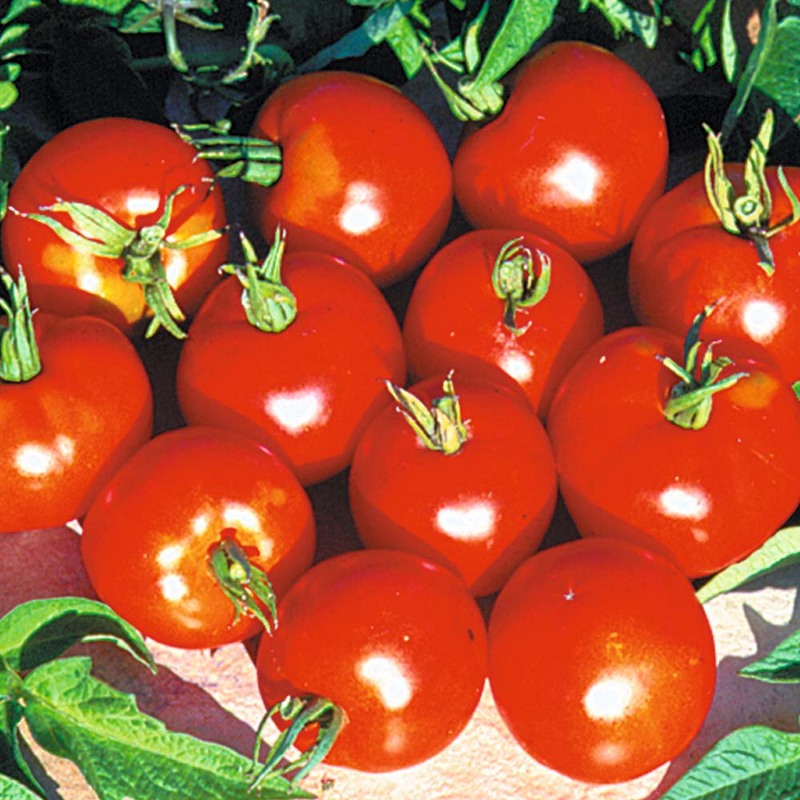 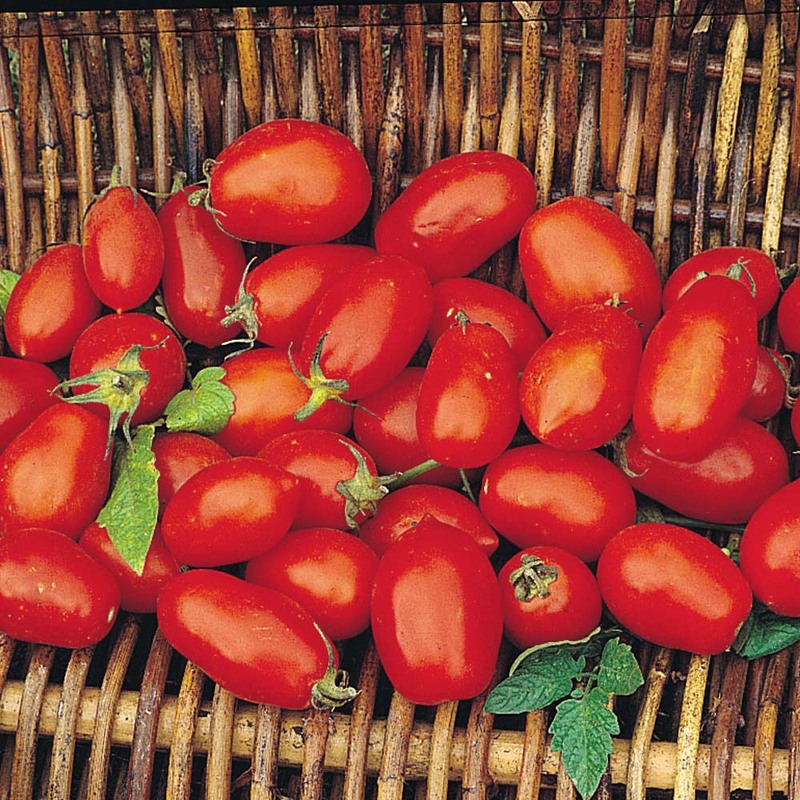 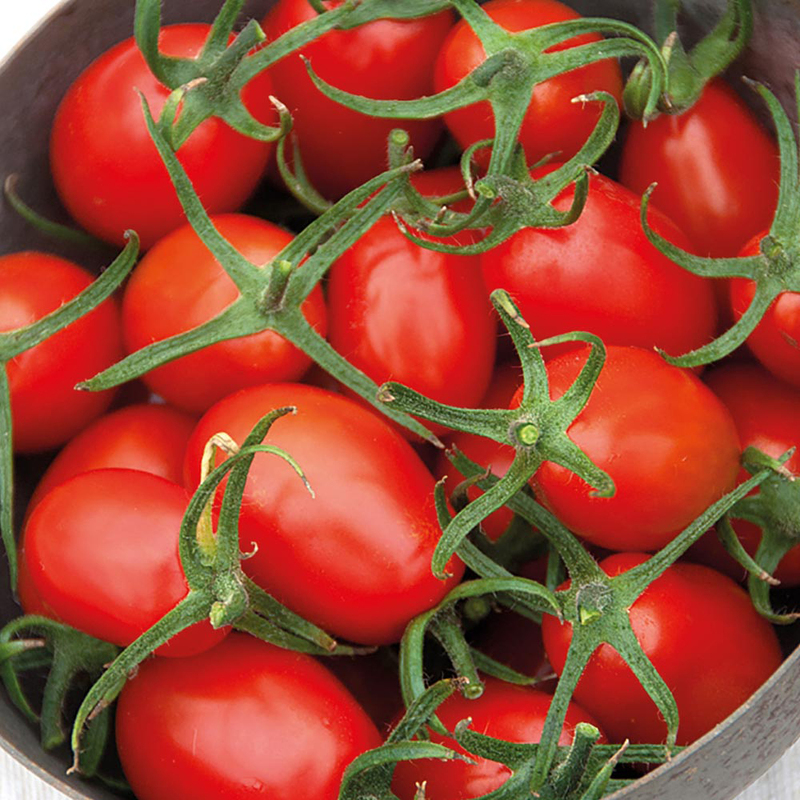 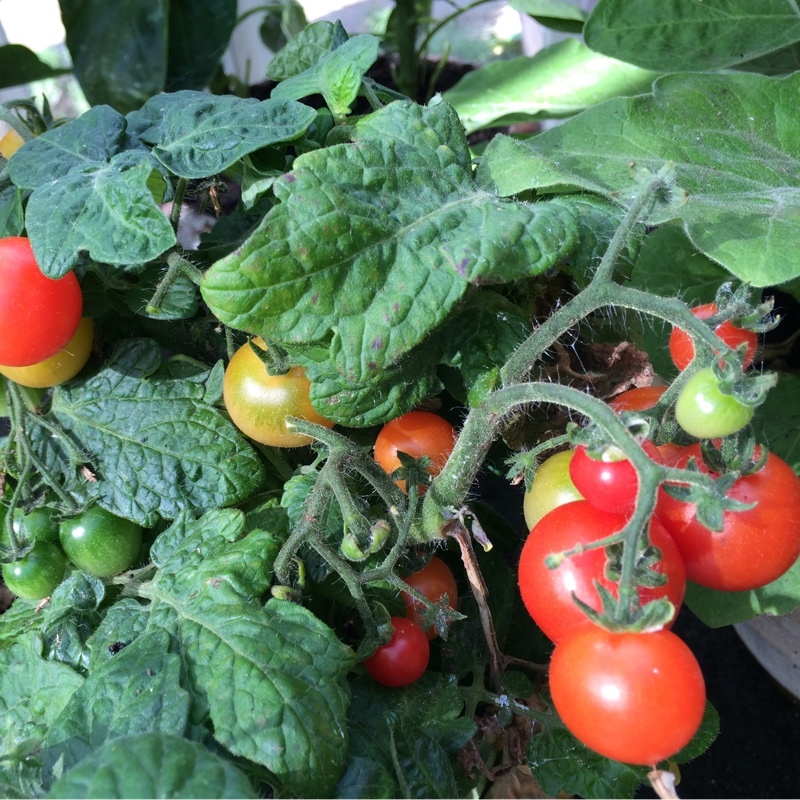 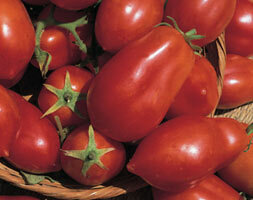 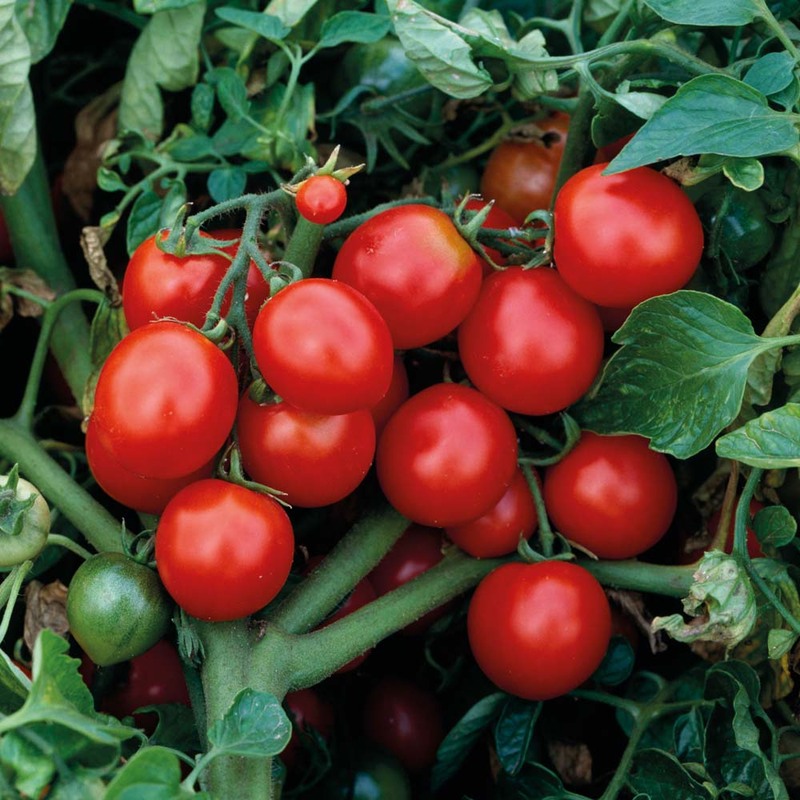 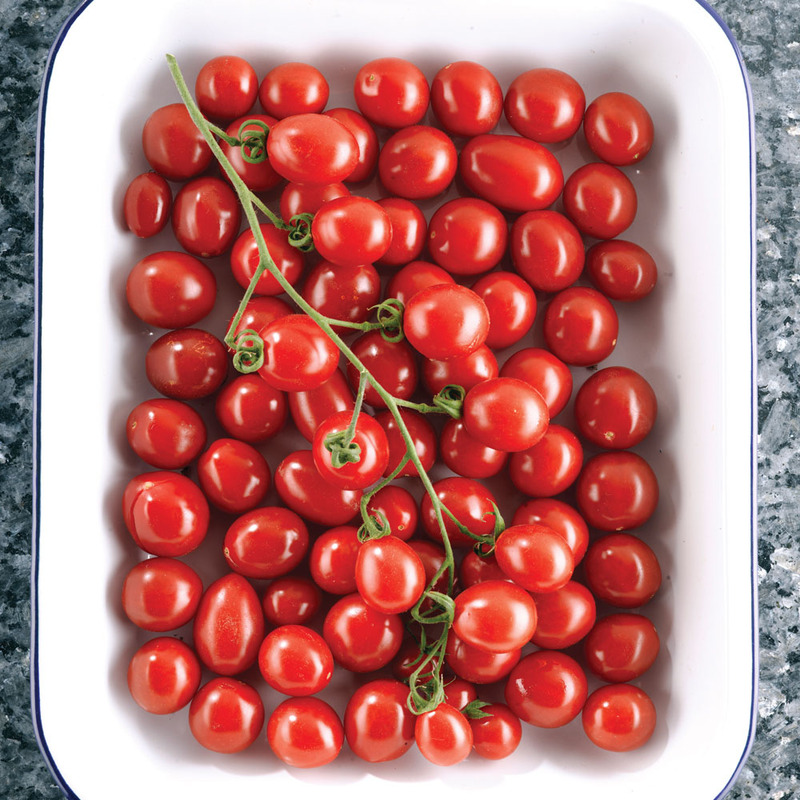 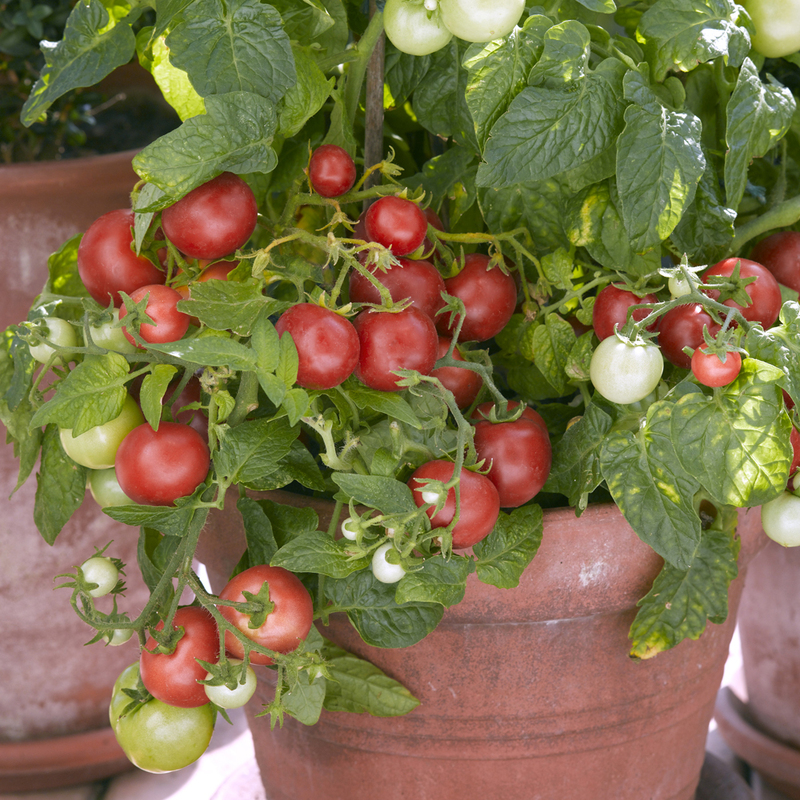 'Sweet N Neat' is a shrub variety, compact in size, and therefore suitable for a pot-grown, patio plant, and bearing lots of cherry sized red tomatoes. 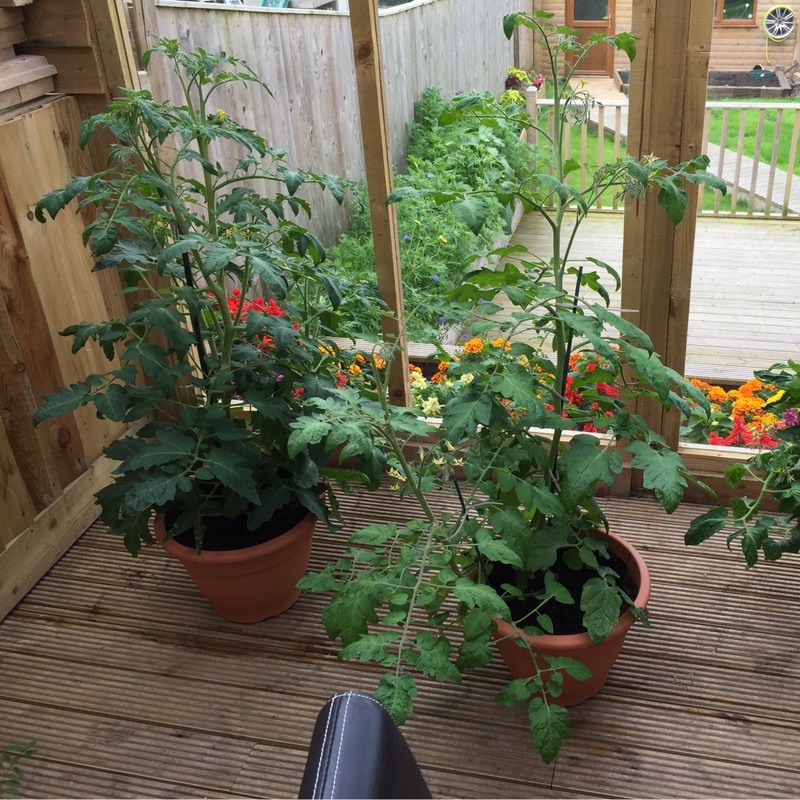 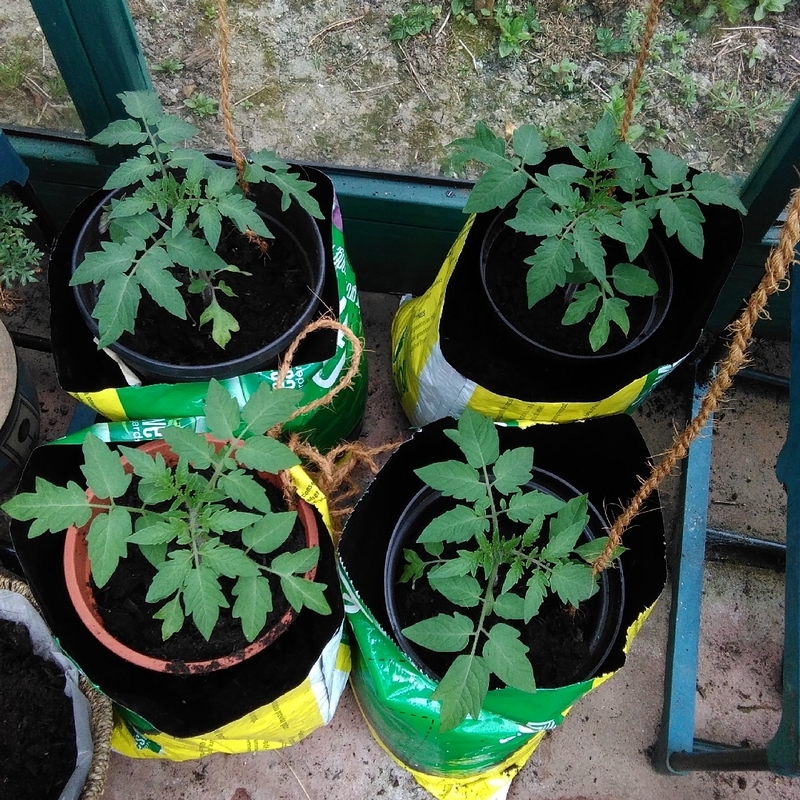 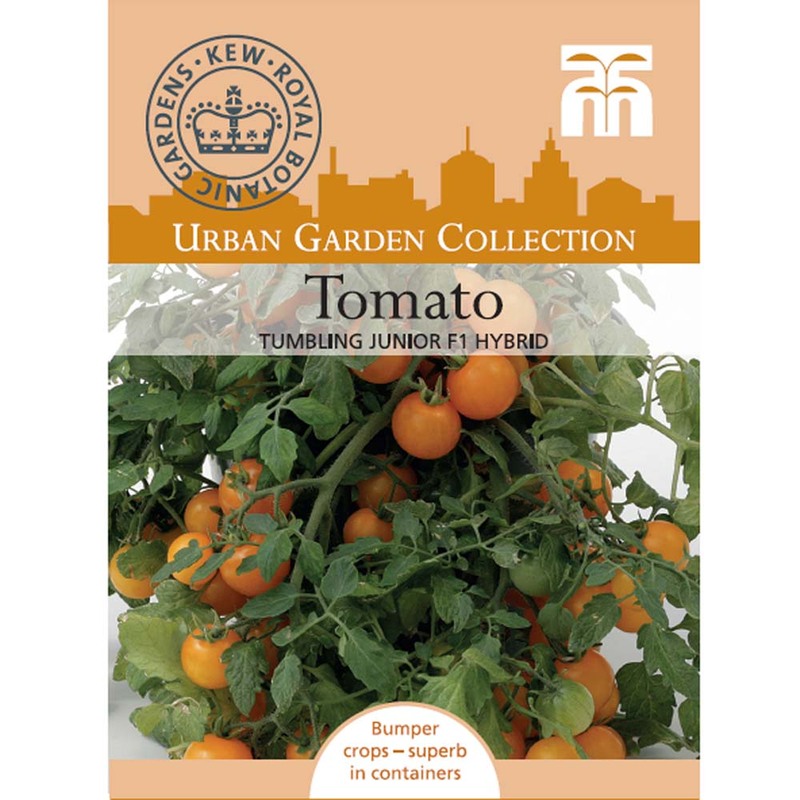 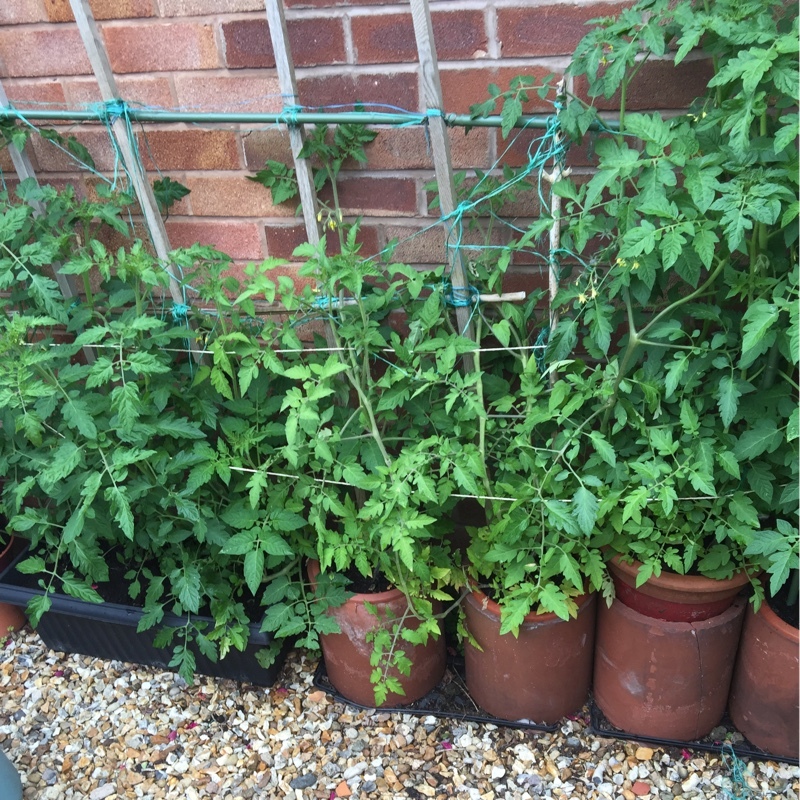 Plant tomato plants grown from seed into the greenhouse border, when they are big enough to handle, and when risk of frost has passed. 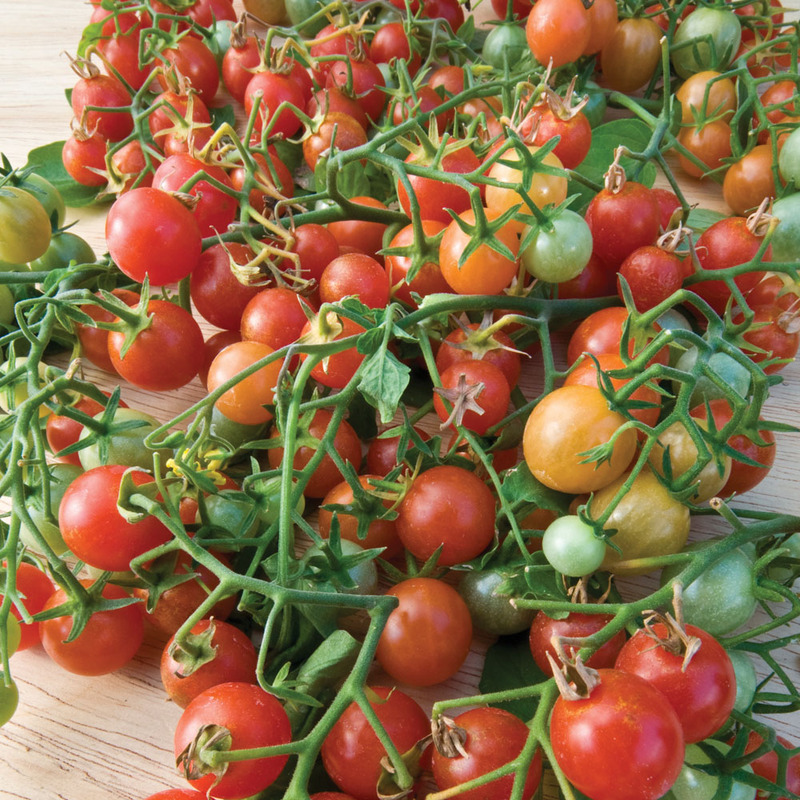 For outdoor varieties, young tender plants need to be hardened off, gradually, first in a cold-frame, and then in the open, before planting into their permanent position.